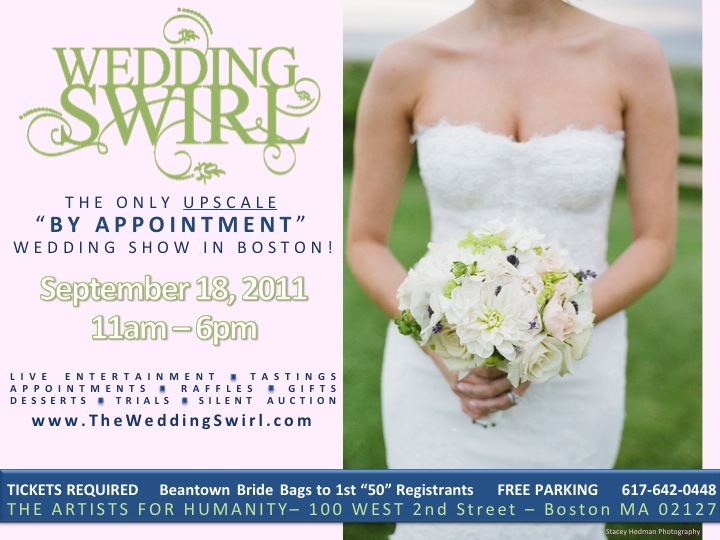 On Sunday, September 18th from 11-6pm you can visit us at the Wedding Swirl event in the Artists for Humanity Center in Boston. We’ll be there with wedding cakes on display, samples, and a decorating demo. We’ll even be conducting tasting/design consultations. In order to reserve a spot in our schedule for an tasting appointment that day you need to purchase a ticket from their website and reserve a spot ahead of time. Hope to see all you newly-engaged there! I live in South Africa and have just found your website. It’s great thanks. I am one of those people who have stumbled into cake decoration by chance & love it! I learning from books & they say never to put a Fondant cake in the fridge or the moister will damage it. Is this true? I’ve seen many cake decorators on TV put their cake in the fridge? S.A is very hot & the problem I seem to have is my cakes melts. Normally the buttercream icing under the fondant- my many many hours of work ruined. Putting a fondanted/finished cake in the fridge won’t necessarily ruin it it will just make the fondant sweat, become glossy, wet and sticky. This kinda defeats the purpose of a fondant covered cake which is normally a matte, smooth, satiny finish. But putting it in the fridge is a better alternative to having it melt from under neath the fondant. Also, the sweating fondant should dry up if left to sit in the right temp and humidity, it’ll just never look the same as it first did. Some pros can control the humidity in their fridge with a cooling unit similar to an ac which takes the humidity out of the air. Keep experimenting and good luck.